Hiking the national park, night-shopping, exploring traditional markets, best street food and other. 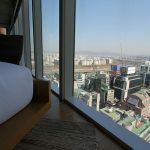 Seoul offers a great variety of things to do during your stay: from walking around historical places to night-shopping. 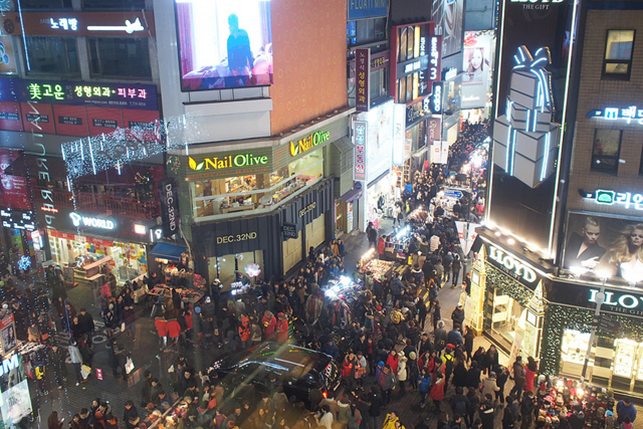 Seoul is the city that never sleeps so you will be able to enjoy your time fullest. We have made you a list of recommended tours, however, you are welcomed to explore the city on your own. 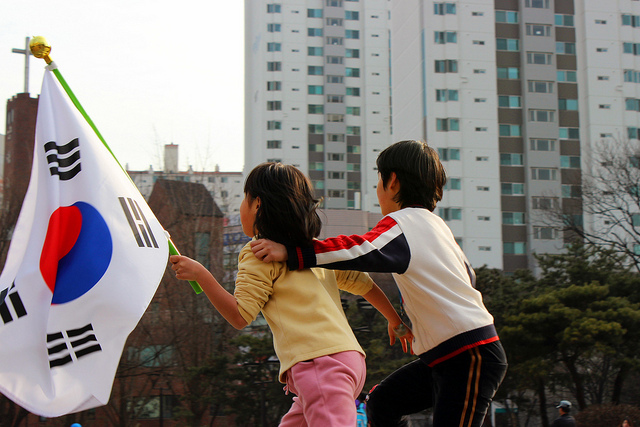 Seoul is well-known for its historical places with beautiful architecture and decorations. 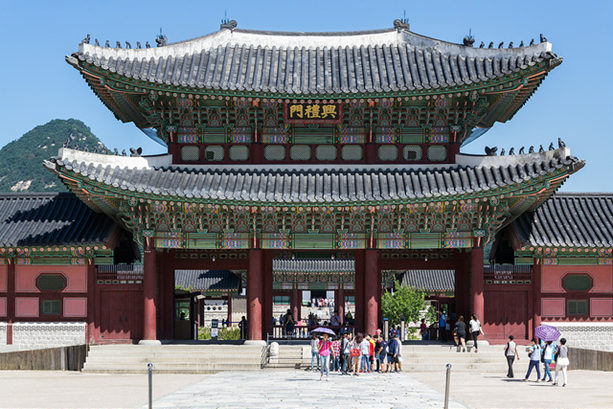 Most people start their Seoul journey from visiting at least one of five palaces in Seoul. 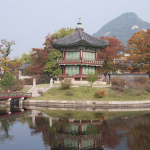 While touring around palaces you will be able to see a unique Korean architecture, get to know ancient history, see beautiful gardens with ponds and, of course, take majestic photos. 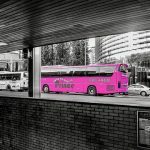 This tour also includes Jogyesa Temple – a tranquil place in the middle of the busy city, shopping at traditional markets Insadong filled with craft galleries, souvenir shops and teahouses, and Namdaemun – most famous for its food alley. This full day tour costs around $83 per person and you can make a booking here http://bit.ly/2IdUgS6. Also, you will get a professional guide that will explain the history and why these places are important to Korean people, and a hotel pick-up and drop off. Seoul is a city that is famous for its night lights as it was selected several times that brightest city in the world. Also, Seoul has amazing parks near the river and stunning Han River cruises where you will be able to enjoy majestic views and try the best food. Another great night views are from Namsan Tower or N Seoul Tower that is located on a Namsan Mountain. This location is very popular between tourists and locals as it offers a great view of Seoul at night. This 5 hours tour includes Han River cruise with live music and narration, cable car ride to Namsan Tower and hotel pick-up/drop off service. And this spectacular tour costs only $133: http://bit.ly/2Gd9CR2. 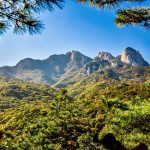 Seoul can’t be experienced without a stunning hike up to Bukhansan Mountain that is basically just around the corner of North Seoul. Bukhansan is the highest mountain in Seoul popular between tourists and locals as it offers great views of Seoul, full of adrenaline hike, historic relics, and gigantic temples. 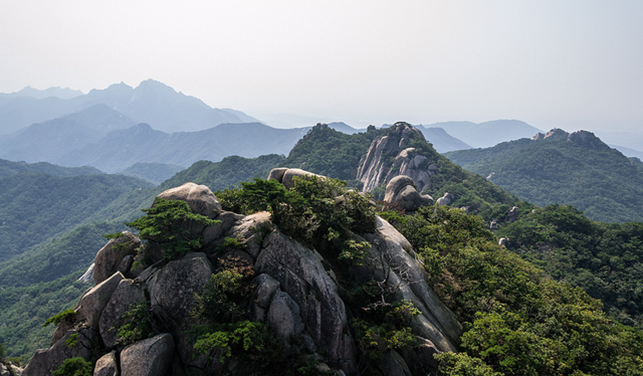 Bukhansan Mountain is very important for Seoul. Are you wondering why? Then book this tour for $121 and your private guide will be able to tell you everything about the mountain and its historic value. Also, this tour includes a Korean sauna – jjimjilbang – experience. You will be able to soak in a hot tube your tired body after the hike. Perfect, isn’t it? You can book this amazing tour here: http://bit.ly/2rD8rFa. This tour is 8 hours tour or longer. 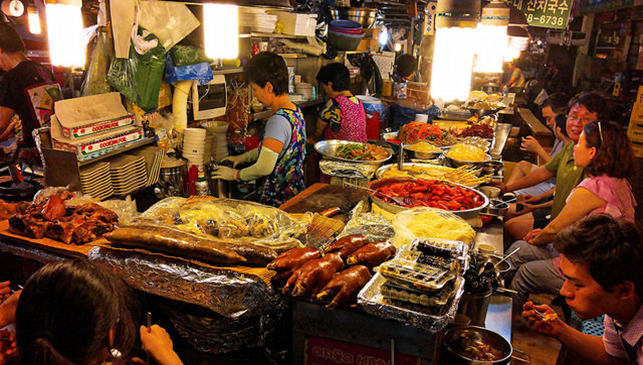 Seoul has numerous food markets where you can try traditional Korean street. Namdaemun Market is very famous for its street food that is freshly made by locals. Also, while traveling around Seoul, you have to try Korean BBQ that you cook yourself and wrap into a lettuce with some side dishes, rice, and sauces. 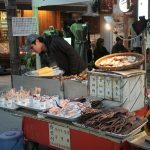 Tour includes street food snacks at Namdaemun, a dish from a local eatery and Korean BBQ experience. For only $83 you will be able to get a never-ending 4 hours of food. Book here: http://bit.ly/2IbUXeJ. Never sleeping Seoul offers lots of locations for shopping and eating. Night markets are getting more and more attention from foreigners. 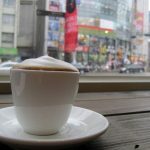 Myeong-dong and Dongdaemun are the most popular shopping streets where you can find branded clothing shops, cheap Korean clothing and lots of makeup stores. Another popular market is Gwangjang market that is famous for its street food, especially for mungbean pancakes. For $98 you would be able to get food tasting, a local guide that will help you with your shopping and discounts, hotel pick up and drop off service, and a great time. If you are interested, book this tour here: http://bit.ly/2IzXv5N. We perfectly know that the majority of people like taking photos especially when they travel. If you are traveling around Seoul, you must have noticed people wearing colorful dresses from ancient times. These dresses are called hanbok and it is traditional Korean clothes that can be rented from various places around palaces. If you want to take great photos with hanbok, think about booking this tour from http://bit.ly/2IcIgAt for $69. 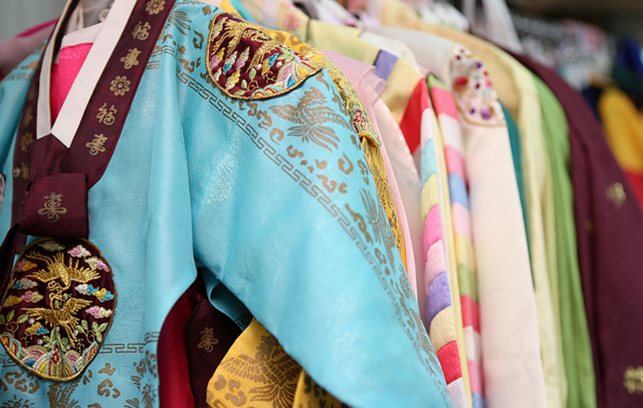 This tour enables you to select a unique colored hanbok from popular hanbok rental shop and wear it for 4 hours while taking photos at palaces or Hanbok village.